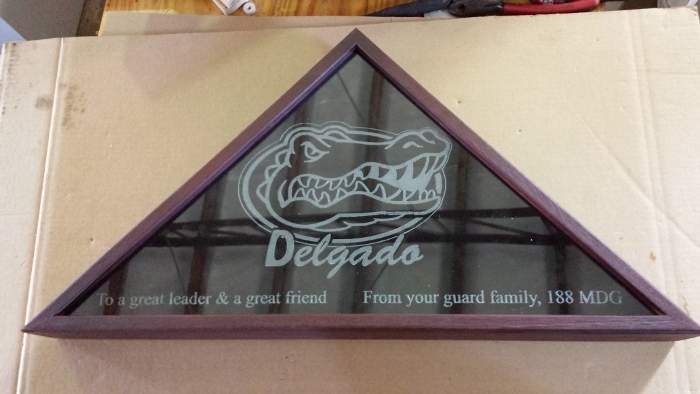 Update: Check out Dustans new glass etching. 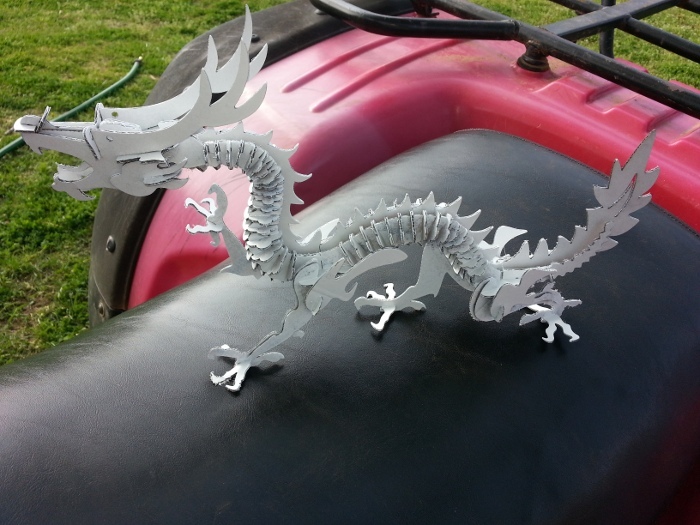 Dustan sent a few images of new things he is cutting and engraving using his blackTooth Laser Cutter and Engraver. 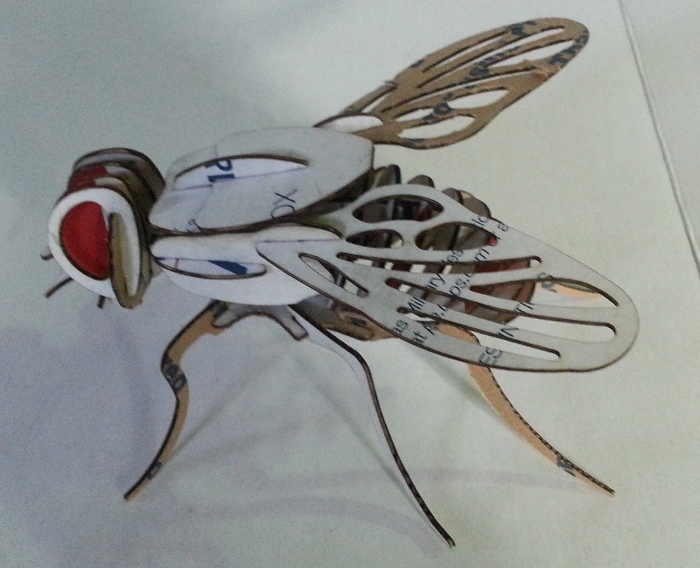 The examples he is showing are 3D puzzles of a fly and a dragon. 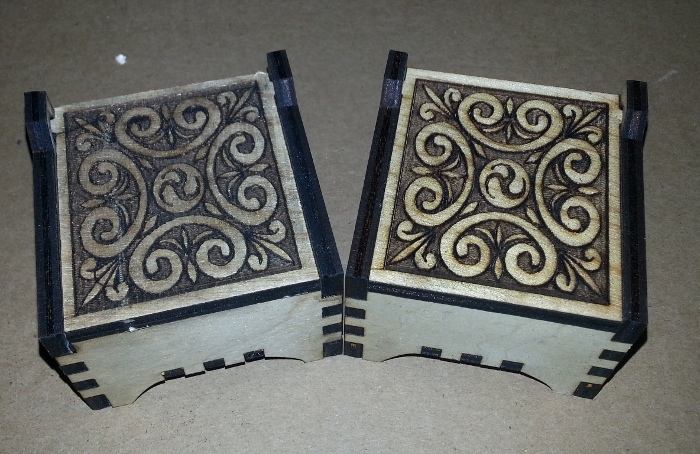 He also produced some functional boxes (with lids that open and close) with designs engraved on the top of the boxes. Also, check out the new paint on his machine. 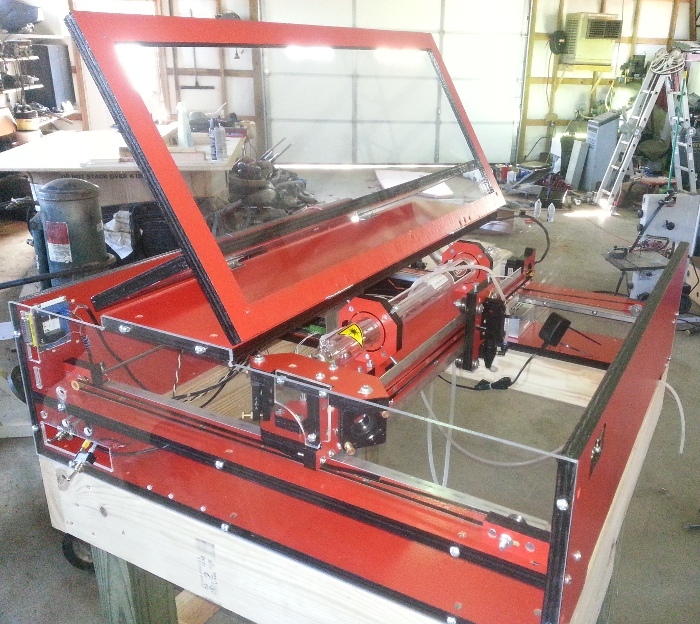 He decided to paint his machine bright red with black edges. 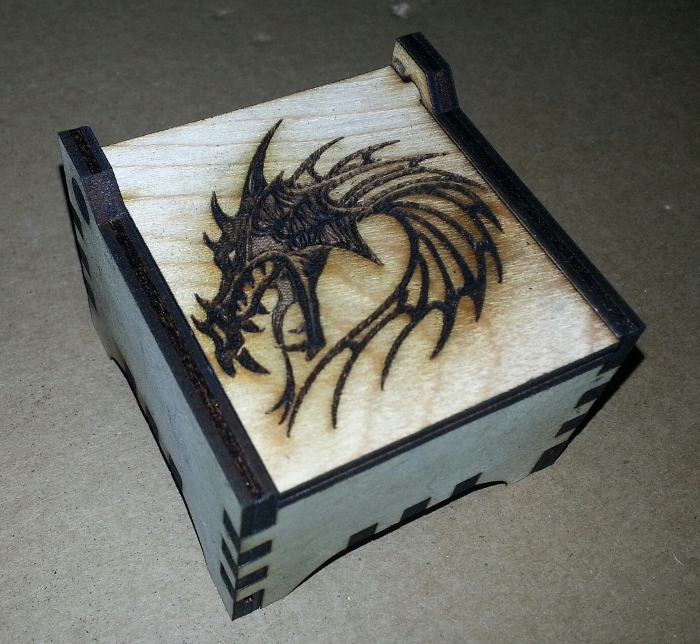 Dustan was kind enough to send us a video and a bunch of images on how he is using the blackTooth Laser Cutter and Engraver. 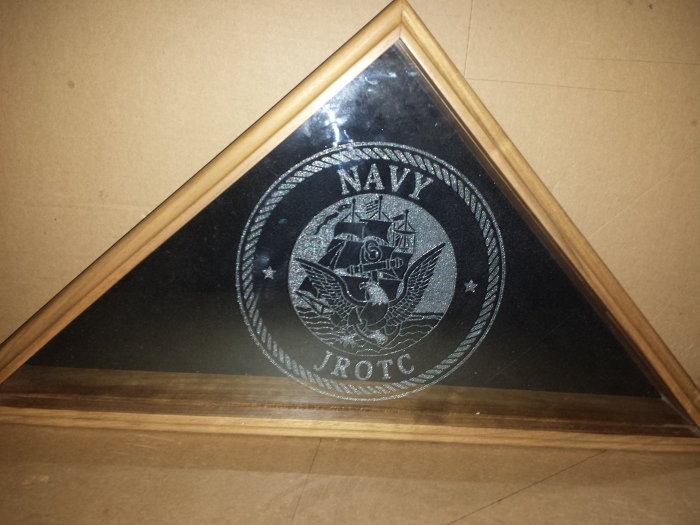 Dustan uses a software toolchain that does a great job with laser engraving using DotG to create the g-code for the engraving. 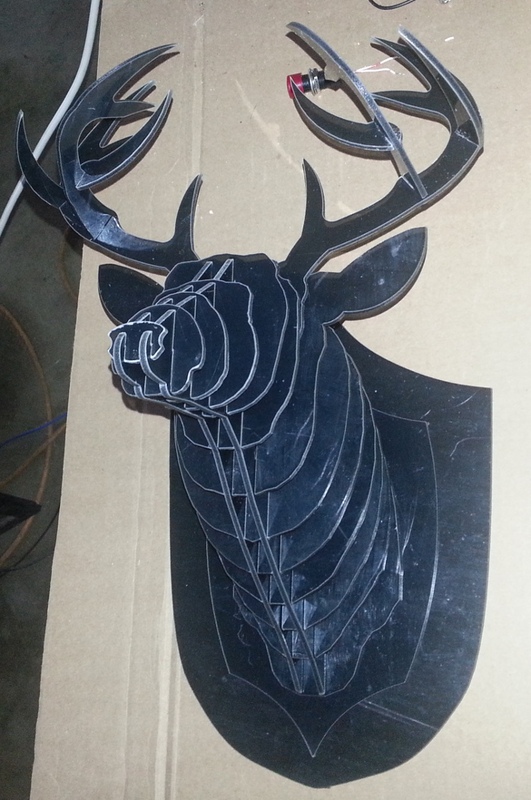 Dustan has also show some examples of his laser cutting by producing one of those taxidermy-like 3D animal puzzles, and uses a material that I have not seen commonly used for this. Let's talk about that DotG for a moment. 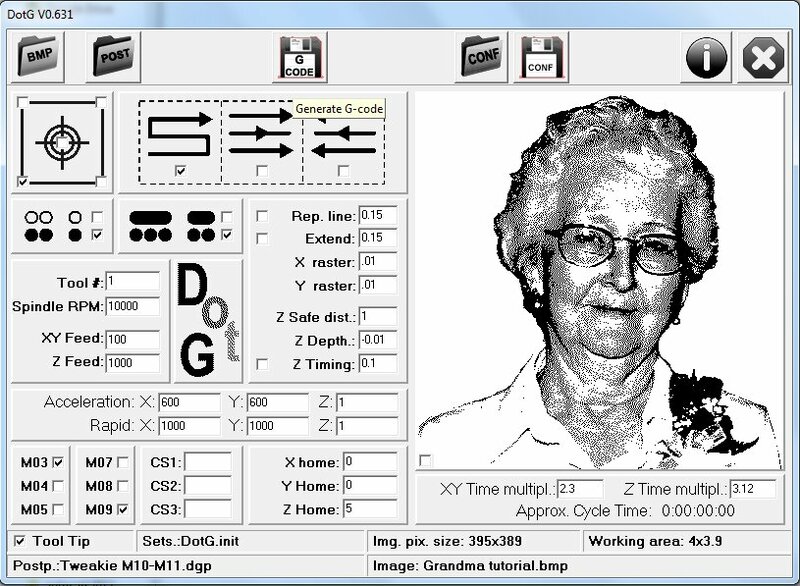 This is a program I wish I was introduced to earlier as it is specifically made for engraving applications. 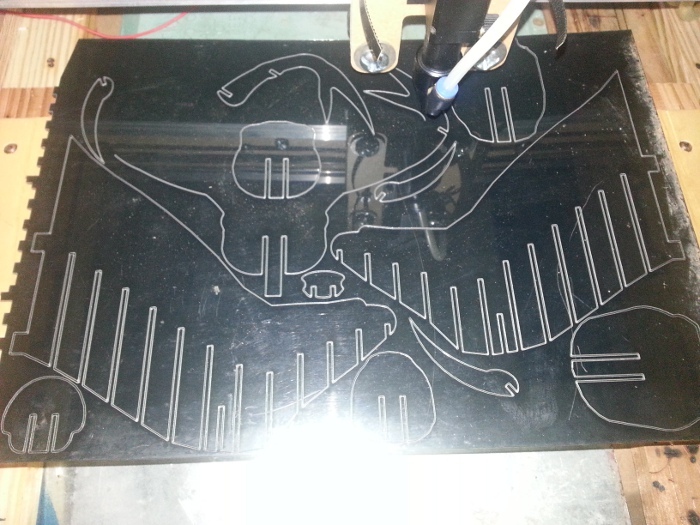 DotG takes an image and creates a g-code file for a laser engraver, CNC machine, or plasma cutter. Dustan's source for much of this information is Tweakie which offers a great amount of information on all sorts of CNC and engraving related topics. 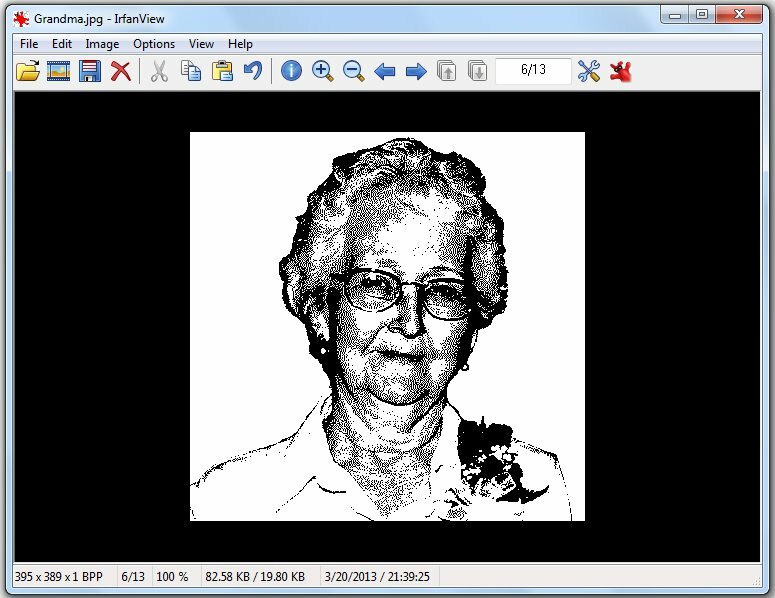 All you need is the image to be in black and white, and you can fiddle with the parameters and create a very nice looking raster engraving. 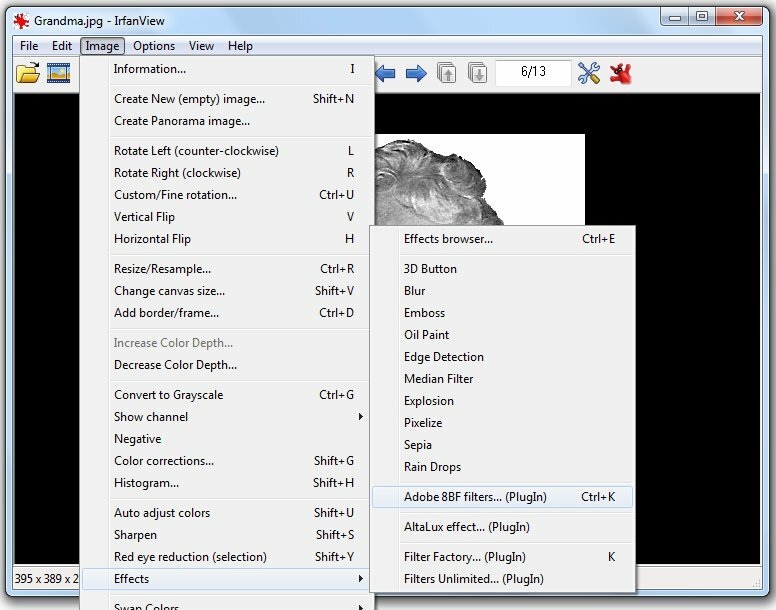 To make the output even better, the image can be processed by another program to create a dithering, or half toning effect. Dustan used IrfanView and Ximagic (plug-in for Photoshop). Some code (post processor) is needed with DotG. You may be able to use this halftoning techninque as it produces many halftoning designs. 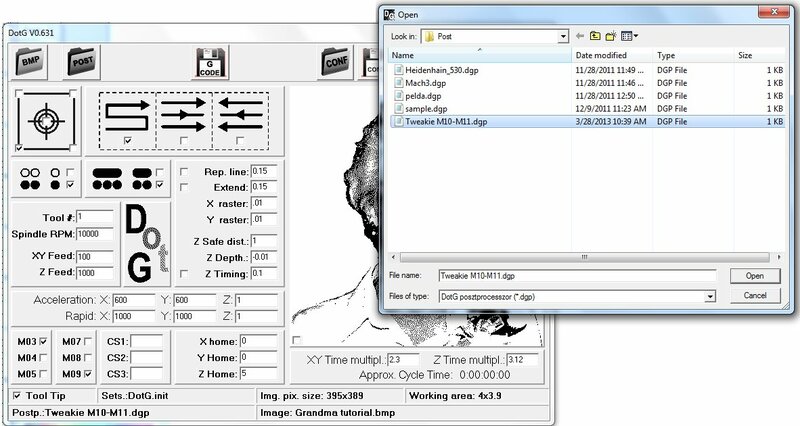 With this software, Dustan was able to engrave/burn an image of his grandmother onto a piece of wood. He really wanted to apply this to glass and as you can see, he has a successful example of this. If you are marking glass, it's a balancing act of having the laser at the correct intensity. The laser is not actually engraving the glass, the laser is marking the glass by putting little cracks in the glass. CO2 lasers heat the air trapped within the glass and when air is heated, it expands. 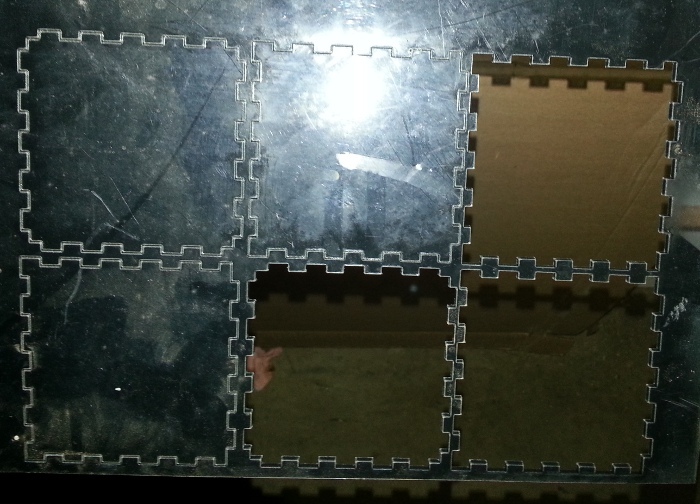 The expansion causes a crack in the glass making it appear as if the laser engraved the glass. Dustan also dabbled with cutting with his blackTooth laser system. 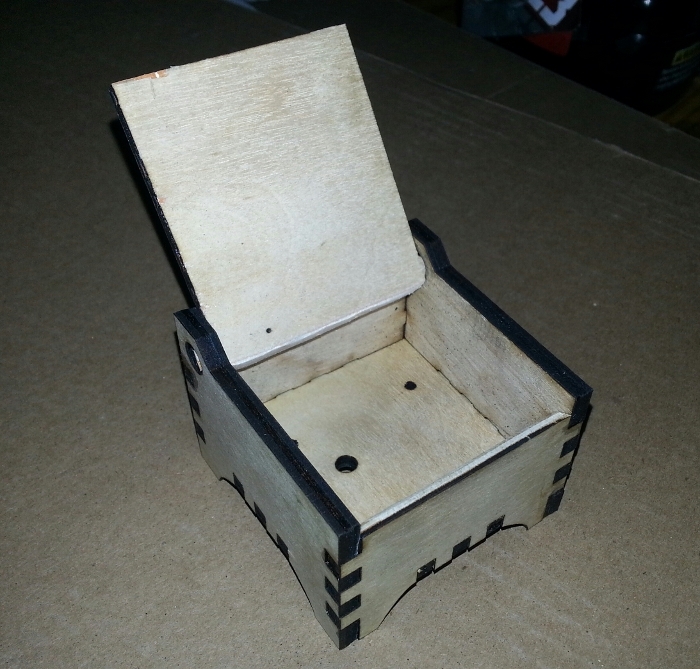 He started out cutting a 3D box using a website that automatically creates the outline for the box for you. You give the website the width, height, depth and material thickness and it does everything else for you. 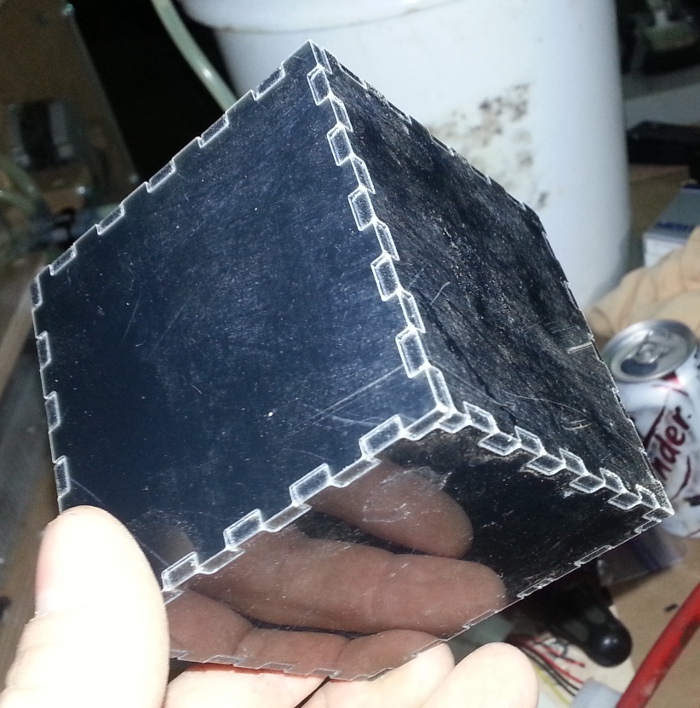 It then presents you with a pdf that can be put into the cam so the box can be cut on the laser. He also tried a deer mount that came out very nicely. The material that is typically chosen to do these animal taxidermy mount puzzles is cardboard, but Dustan chooses to use a plastic material. Important: If you are using this method, you will need to set your #6 pin as output #1 and set the z-axis dir pin to 0. Furthermore, the B-axis must be enabled, but leave the defaults for that axis and confirm that the port is set to 1 for step and direction. DotG uses this axis for fake moves. 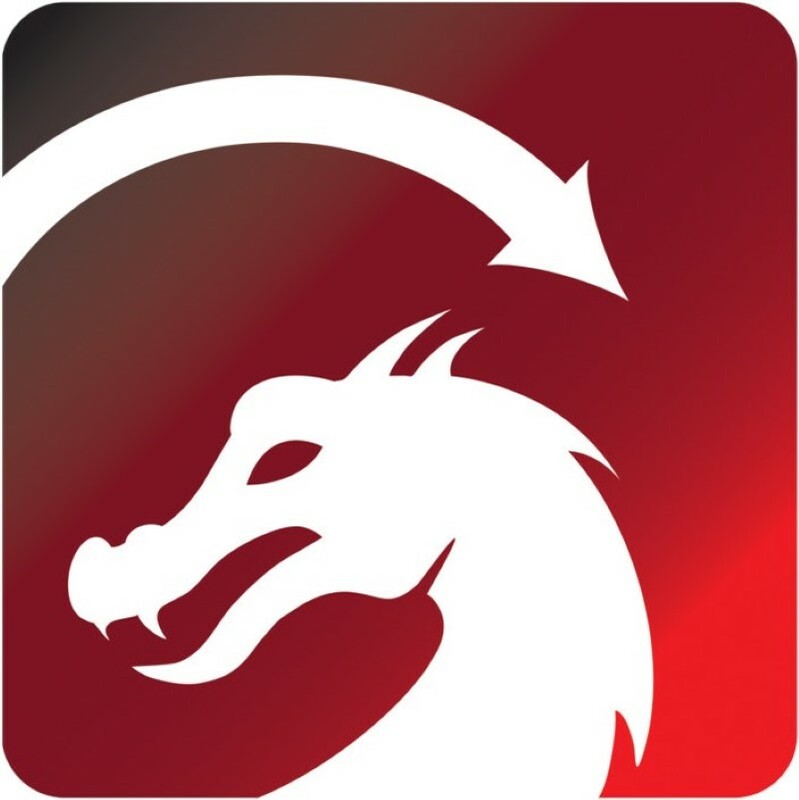 If you don't have IrfanView, download it and install it on your computer. Start IrfanView and open the image. If you need to change the resolution, click on Image and Resize/Resample and change the DPI to 200. Important: If you are using this method, you will need to set your #6 pin as output #1 and set the z-axis dir pin to 0. 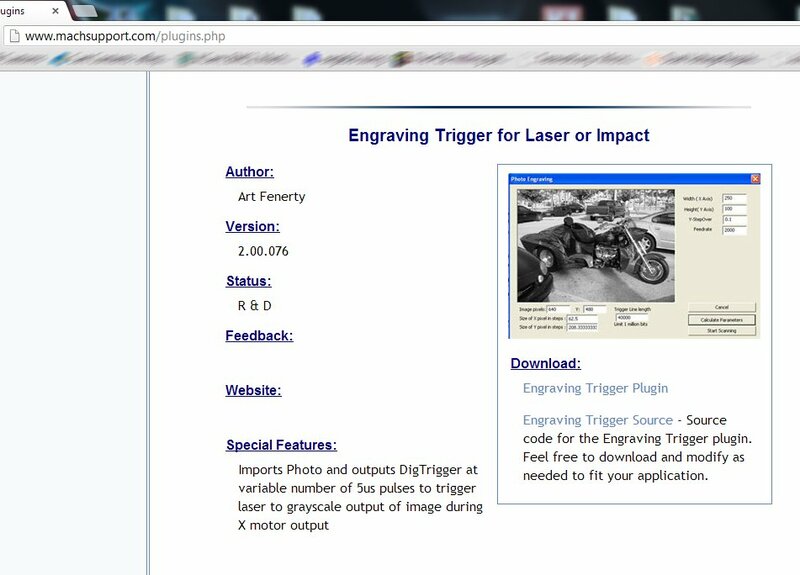 Download and Install the Impact/Engraving plugin from plug-ins area of machsupport.com. Download the Engraving.dll from Tweakie and save this file to the desktop. Depending on the browser you are using to download this file, you may need to move the file to the desktop from where it downloaded. 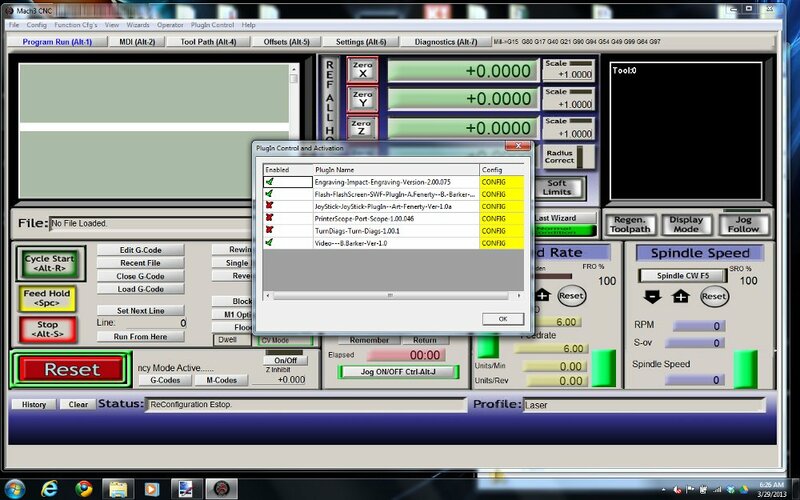 Open Mach3 mill and click on the Config menu, then click on Config PlugIns. You will be presented with a dialog box titled PlugIn Control and Activation. Enable the Engraving-Impact-Engraving PlugIn. Click ok and close Mach3. 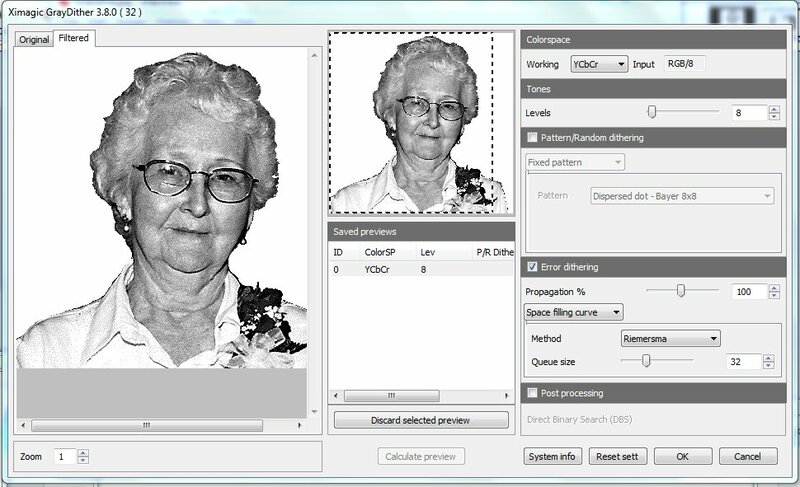 Click on Image -> Effects - > Adobe8BF filters. Open the Windows Explorer (there are many ways to start the Windows Explorer, but the most consistent way would be to click on the Start menu and click on Computer). Navigate to the C:\Mach3\PlugIns folder. Find the Engraving.dll on the Desktop and click and drag that file to the C:\Mach3\PlugIns folder. Click on Move and Replace to replace the existing Engraving.dll file. If you want to save the existing file, make a copy of that file first, or click on Move, but keep both files, but you will need to manually rename the old file to soething other than Engraving.dll and rename the new file to Engraving.dll. 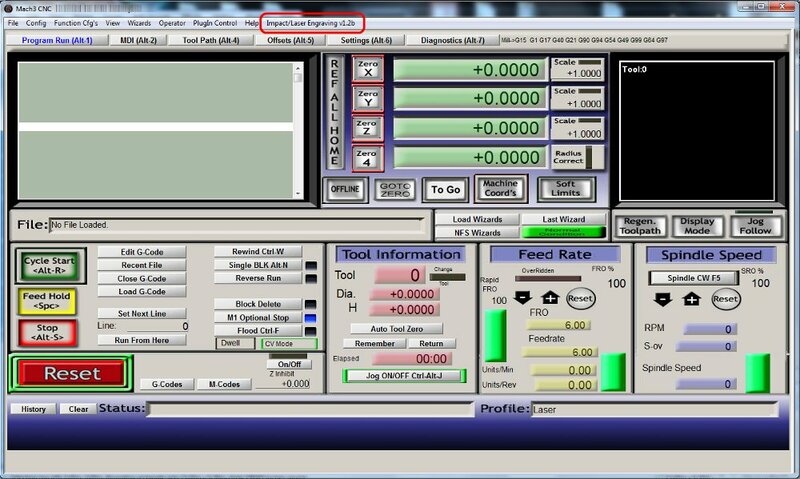 Start Mach3 and you should have Impact/Laser Engraving followed by the version number in the horizontal menu bar. If it is not there go to config -> config plugins and enable the engraving plugin again. Close Mach3 and start Mach3 again to confirm that the plug-in shows at the horizontal menu bar. Adjust the levels to your liking. I used the default levels. You must calculate preview after each change. 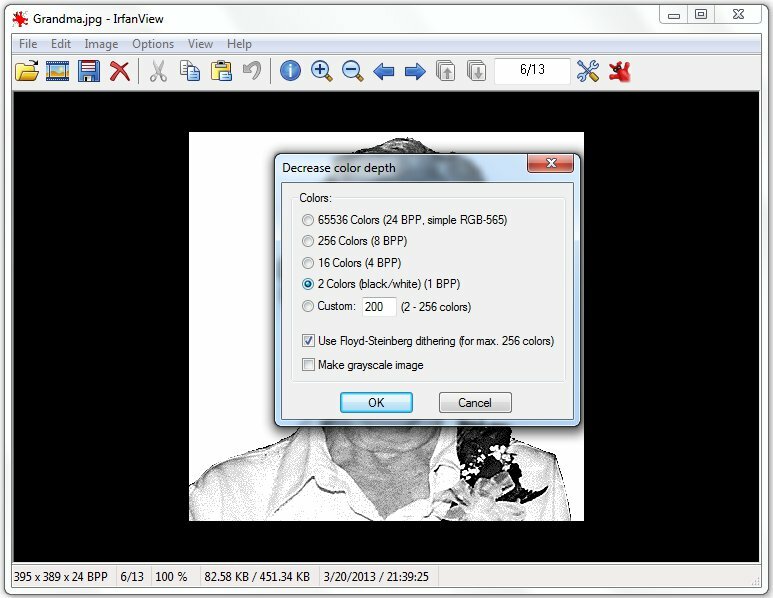 Next Go to Image – Decrease Color Depth. Click on the Impact/Engraving tab. It will prompt you to open the picture you want to engrave. 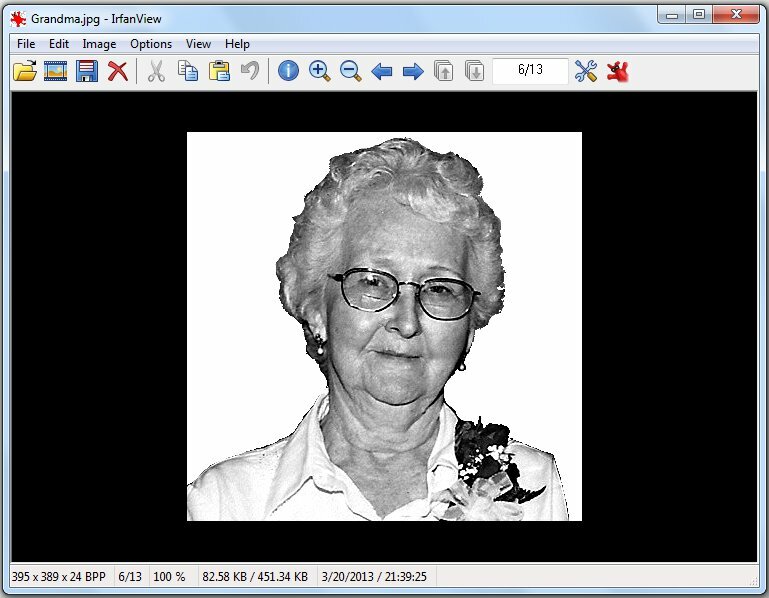 A new window will be shown where you can enter a width and height of your for the output raster image and click Calculate Parameters or you can just enter a width and click Calculate Parameters AR to maintain the Aspect Ratio of the original image. Set your Y axis stepover: I chose 0.01” which worked well. time (which was pretty slow). The other values will populate when you click calculate. When you are satisfied that all of the parameters are set, click Start. Mach3 is now ready to start the engraving. Hit Cycle start to actually start the burning. 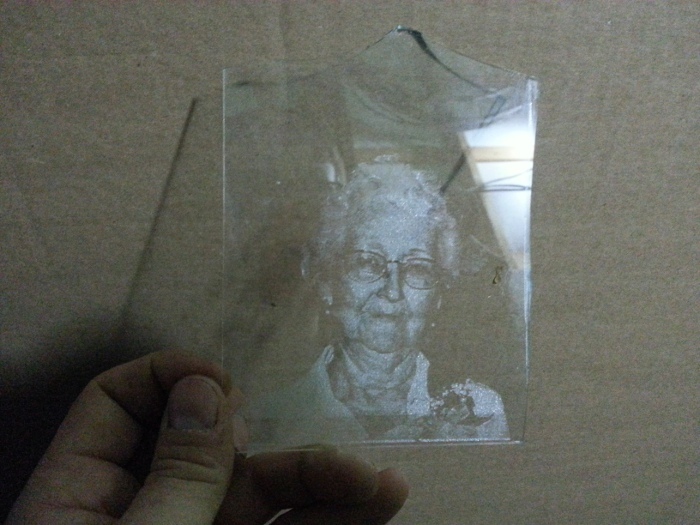 Here is the output of the engraving using the Impact/Engraving plugin for Mach3. Select 2 color(black/white) 1BPP. Keep the default setting for Use Floyd Steinberg dithering (for max 256 colors). 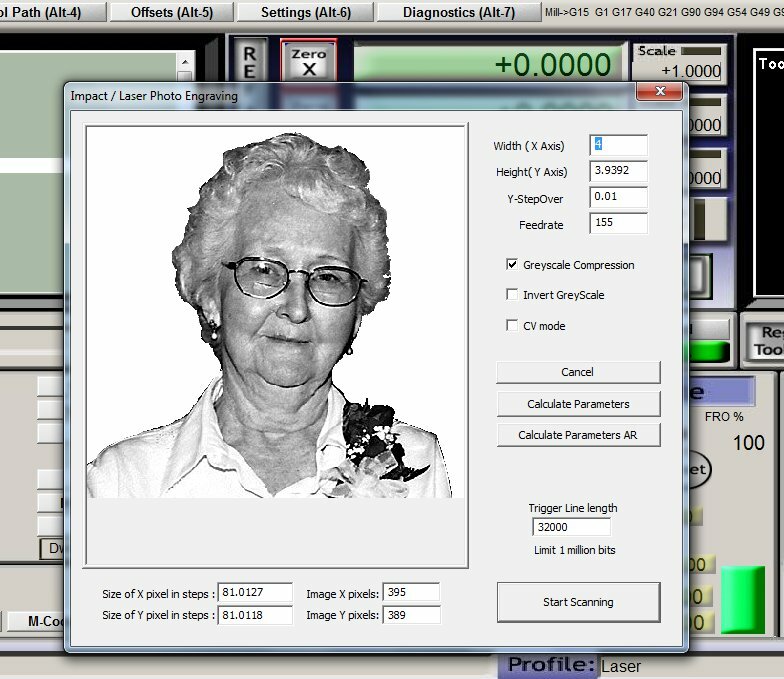 Your Picture is now ready and should have a dithered appearance perfect for the DotG software. The image can now be saved. Before you start DotG, you will need to get the post processor (right click this link and select save link as...) which should be put into the DotG's post folder (C:\Program Files (x86)\DotG0631\Post). Start DotG and open the picture into DotG and check mark your preferred method of machining ie: workpiece origin, raster method, inverted or non-inverted burn, dot or line mode etc. The working area in the bottom right is in metric but if you change the spot in the post processor that says G21 into G20 it will be in inches. Choose the Post Processor for the laser. Then click the G-code button to save it. Now this file can be used in Mach3. 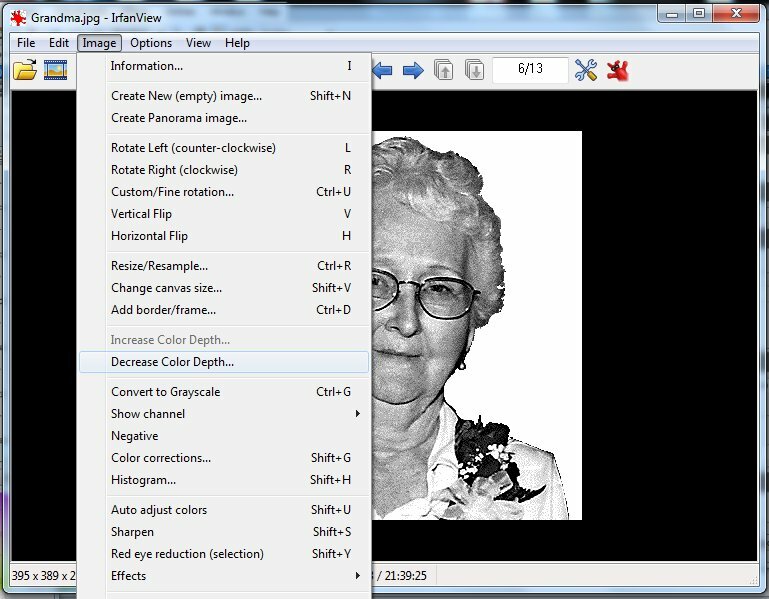 Run the file in Mach3 without the laser on for the first time to make sure the image is the size and location you would expect.